» What Do Cats Hate the Smell Of? I don’t know about you, but my cats like what they like, and they hate what they hate. And, when it comes to smells, there are certain things most cats just don’t seem to care for. That’s why I’m answering the question of what do cats hate the smell of. If you’re a cat lover, you already know they’re amazing creatures with extraordinary senses. For example, with super-acute hearing, it’s virtually impossible to sneak up on cats. And, you may have heard or used 7th century idiom, “cats always land on their feet,” which refers to the cat’s remarkable sense of balance. A cat’s vision is usually considered their primary superhuman sense, which is understandable given cats can see six times better in the dark than humans do and have an equally-heightened ability to detect motion in these darkened settings. But, did you know that cats actually have a sense of smell that, perhaps, surpasses that of a dog? Sniffing out bombs, drugs, and even dead bodies, the amazing canine sense of smell is attributed to the incredible number of olfactory receptors contained in a dog’s nose. With between 149 and 300 million of these microscopic proteins, dogs have few rivals in the amount of olfactory receptors they possess. 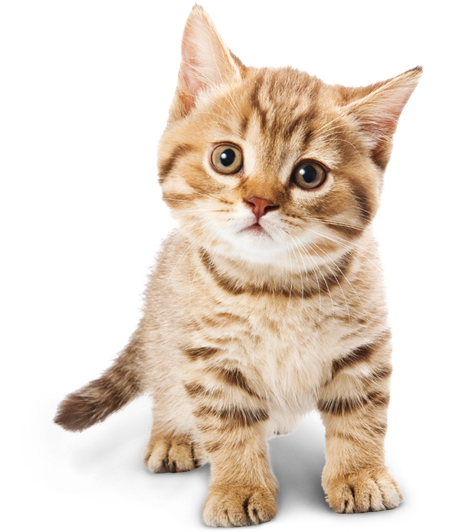 By comparison, cats have 45 million to 80 million receptors, while the human nose comes in with just 5 million. However, the sheer number of olfactory receptors an animal possesses doesn’t tell the whole story. In addition to the number of receptors, there are also different kinds of scent receptor proteins in mammal noses. One of these, known to scientists as V1R, is believed to control a mammal’s ability to discriminate one scent from another. Dogs have 9 variants of the V1R protein, humans have 2, and cats have 30. What this means is that dogs probably have a better ability than cats to discern extremely faint scents from great distances, but the cat is probably better at discriminating between different odors. If you don’t already know, cats are a finicky lot. They don’t just dislike. Cats often hate things. With such a good nose, it shouldn’t be surprising that some of the things they hate the most are smells. One of the most common smells owners say their cats hate is the scent of citrus fruits, such as oranges, lemons, and limes. There are even a number of cat deterrents, such as this Bitter Lemon Spray, that utilize citrus as one of their active ingredients. Another fruit smell most cats don’t seem to care for is bananas. Like citrus fruits, banana peels can also used as a natural cat repellent. While they might not be as effective as commercial products, banana peels are non-toxic and pretty inexpensive. Plus, eating that banana is good for you, anyway. Most people enjoy the minty smell given off by the aromatic oils of the various Mentha species. But cats? Not so much. It could be that mint smells are just too pungent and powerful for cats’ sensitive noses. Interestingly, catnip, which many cats love, is closely-related to mint. Cats can be very particular about their litter boxes. The type of litter you use, where you place the litter box, and how clean it is can all make a difference in how well your cat uses it to do their business. As far as cleanliness goes, it’s the scent of urine and feces that will turn a cat away. Most modern cat litters do a pretty good job of keeping odors down, but you still need to clean them regularly. Speaking of cat litter boxes, check out the IRIS Top Entry Cat Litter Box. While you’ll still need to use the kitty-litter scooper to keep it clean, it does a great job of helping your cat keep the litter in the cat box. Pine trees and needles contain resins which give pine its distinctive scent. These resins are distilled into turpentine and terpene alcohols for use as disinfectants and industrial chemicals. Obviously, a lot of the trees in the foregoing video were fake; but, it just goes to show that the enmity between cats and pines is deeply-rooted. Much like the mints, cats have a strong aversion to the volatile oils in eucalyptus trees. In this case, cats have good reason to stay away from the smell. Exposure to eucalyptus oil can make cats lethargic, unstable, and cause excessive drooling. Because of the possible ill effects on your cat’s health, this is one scent you shouldn’t let your cat try out. Many soaps and detergents contain a variety of scents and fragrances. While these smells may be pleasant to us and do a good job covering unwanted household odors, they can be overwhelming to your cat’s sensitive nose. Some of the chemicals in soaps and detergents can even be harmful to you cats. Always try to buy pet-friendly cleaners such as LQFX Multi Purpose Cleaner. It’s certified non-toxic, and is safe to use around food and kids, too! I’m sure you wouldn’t enjoy getting a big sniff of pepper, and if your nose was 15 times more sensitive, like that of a cat, it would probably knock you out. Need I say more? Cats are pretty picky about the water they drink. Given their druthers, most cats would chose running water to drink. In the wild, cats literally turn their nose up at pools of stagnant water. If your cat seems to hate the smell of their water, consider using this cat fountain. It will provide them with clean, filtered water to keep them healthy and happy. This one is a little different because it’s not so much that a cat is averse to the “other cat scent.” Instead, they may perceive the other cats they can smell as a rival or a threat. A cat may just as easily like the smell of another cat, if it’s one they’re familiar with. And if a male cat smells a female in estrus, they might even think they’re in love. Whether your cat is offended by the smell of another cat really depends on how social they are. In any event, a good rule of thumb is that if your cat seems agitated by the scent of another cat, you should be careful about letting them get too close to one another because it could end in a cat fight. There are many smells cats hate, and the above list names just a few of the most common ones. Your cat probably has their own list of hated smells. That’s what make each of our cats fun and unique individuals. If you have any questions or would like to share a story about your cat and a smell they hate, please tell us in the comments below. We’d love to hear from you!